I am a very keen cyclist now living in Switzerland, and as such when the winter arrives it is far more difficult to avoid those winter colds when I get out on the bike than it is in the UK. I am not one who worries about the rain, and wind. I enjoy whatever the pleasure for any time of year. Snow and black ice is a different matter, apart from that, I am out in all weathers as much as possible. I have an Indoor cycle trainer, but as many will know, it is not much fun on an indoor trainer. I there for like to keep fit and healthy throughout the winter months and try to avoid those winter colds that seem to crop up on a monthly basis when the weather starts to change for the worse. There is nothing worse than a runny nose, chesty cough, and a sore throat, especially when I want to be able to train throughout the winter months. I like to cycle to work and get out as much fresh air as possible by being out on the bike. If I suffer from colds and flu I will have very little chance of enjoying the winter months, as any type of illness affects the immune system, and in turn pulls you down from a feeling of health to that feeling of “I don’t want to do anything today”. Winter colds are a common thing. Most people fail to wrap up properly when out cycling, or wear the wrong clothing that either lets the wind and rain onto the chest or causes the clothing on the inner layers to get wet and allows the air to get in which makes the wet clothing cold and uncomfortable, causing all sorts of problems. Trying to stay dry and comfortable is easy if you wear the right clothes, which in turn will keep out the winter colds and flu. Being a cyclist I am keen to get out no matter what the conditions are outside. It is there for essential that I know a little bit about what to wear and how to keep the cold at bay. Walking is similar to cycling in that you need to wrap up well to ensure that you have a warm layer of air that is close to the chest, and that the layers of clothing can breath properly. Unlike cycling you are not likely to be out for more than an hour, and could be quite close to home should you decide to call it a day. As long as the hands and feet are well protected you should be able to withstand the cold conditions with three layers of normal clothing when out walking. Catching a cold in winter is normally because of the hot and cold situations and because people fail to let fresh air into their household. If you want to get rid of germs from a house you need to open the windows at least twice a day for around 5 minutes to let the bad air out and the fresh air in. Yes it means getting the house cold, that is essential to get rid of the bugs and germs. Believe it on not, this is also the best way to conserve energy in the household, as it regulates the temperature much better when the house is flushed through on a daily basis. The choice of what clothing you wear in winter is essential if you want to avoid winter colds when you are out and about. It is all about keeping the body warm, but letting the clothing breath, so as it does not form a layer of sweat on the skin that gets trapped and soaks the layers of clothing. By wearing three layers of clothing that work with each other you will be able to regulate the body temperature, allow the skin to breath, and keep sweat to a minimum. This will ensure that the body stays warm, and stops the skin from getting cold from sweat. By wearing three layers it allows the body to move and the air to circulate, and allows for sweat to be removed from the skin and out of the inner layer, keeping the skin dry and warm. The body requires a good amount of vitamin D to help to kill colds and flu viruses. Getting this is easy in the summer months as the sun provides lots of UV rays which in turn produce vitamin D to the body. You do not need to sunbathe to get the vitamins from the sun. Just being outside will allow the sunrays to the body. It is not healthy to sunbathe as this can cause cancer. 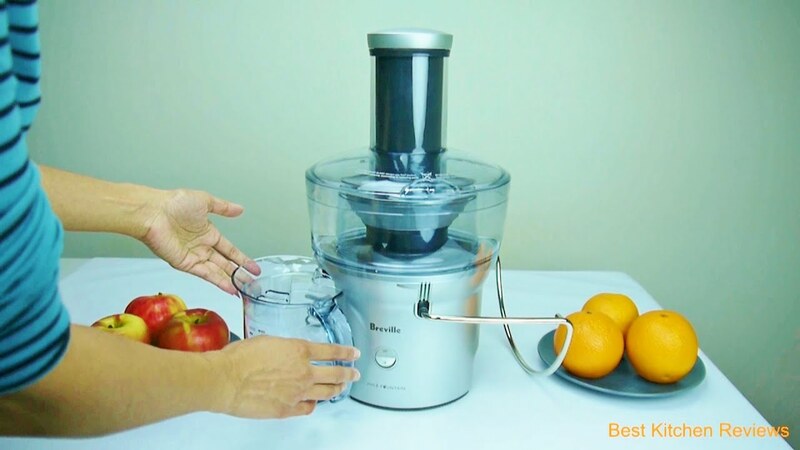 I have recently purchased a Omega VRT350 Heavy Duty Juicer. I already own a Smoothie machine. I have to confess and say that the juicing machine is probably the best purchase I have made in the last 10 years, that includes all the phones, computers and other gadgets I have bought. I have always been keen to look after my health, but like many I like to indulge in other not so high quality foods and snacks every so often. To make up for this I looked into the idea of Juicing as a way of getting those 5 a day inside me. I am not a big fan of chewing carrots and apples all day. By using a juicer I can get all of these benefits in a single glass of high energy juice in a matter of minutes. 325 – 4 Star Customer Reviews – Comes with a unbelievable 10 Year Guarantee. This is the Juicer that I own. The heavy duty juicing screen included is eight times stronger than other juice screens, making the juicer great for people juicing daily. The patented screw design of the auger is more efficient when squeezing and pressing ingredients to extract juice. This is the number 1 Juicer Machine in the world. It comes in at less than $100. A complete bargain for those who are looking to start a healthy lifestyle. I think the price is justified. It works out at les than $40 a year for satisfaction guaranteed. I have had it for around 12 months now and can say it is without doubt the best piece of equipment I have ever bought. So far this year I have not had a sniff of a cold, whilst all around me have been under the weather more than once. I cannot recommend them enough. I bought a couple of juicing books to help guide me on what different types of juices do for the body, and how they can help to fight off colds and flu, as well as other types of illnesses. They can also show you how to clean and detox the body and keep your colon clean and in good health. By following a few simple rules on clothing and health you should be able to stay Cold and Flue free all year round, and not just in the winter. I have looked after myself for many years, but have found the many benefits of Juicing to help me further enjoy the winter months, when many around me suffer from cold sores, and a complete lack of energy. Avoid those winter colds by following a few simple rules as listed above. To see what other benefits you can get from foods and juices, take a look at the videos on our blog.